Our Chocolate Recipes section contains a number of lip smacking chocolate recipes. Chocolate is perhaps the most popular food item all over the world. Chocolate is used in the preparation of number of desserts such as cakes, cookies, pies etc. Try our easy chocolate recipes. Vegan Yoghurt Sundae is a delicious Easter speciality. Learn how to make/prepare Vegan Yoghurt Sundae by following this easy recipe. Hot Fudge Ice Cream is a classic and tempting dessert. 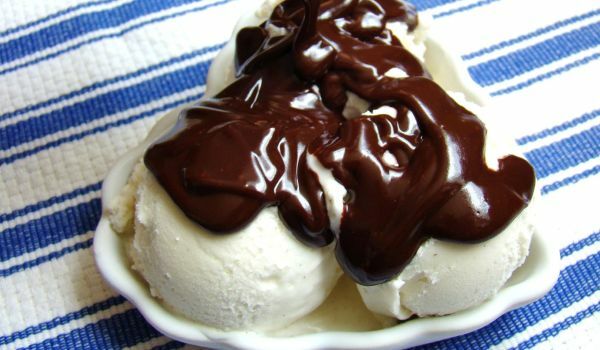 Learn how to make/prepare Hot Fudge Ice Cream by following this easy recipe. Chocolate Oatmeal Cookies is a very popular recipe. Learn how to make/prepare Chocolate Oatmeal Cookies by following this easy recipe. 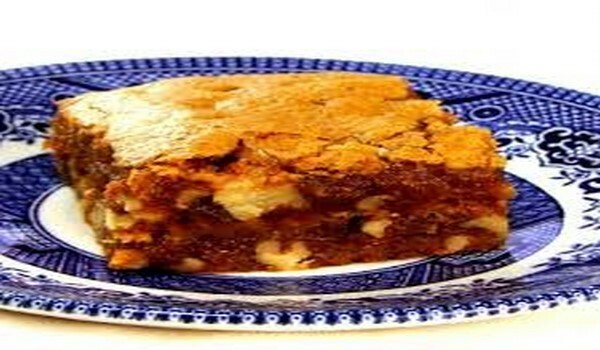 Toffee Bar Brownies are favorite treats of old and young alike. Learn how to make/prepare Toffee Bar Brownies by following this easy recipe. 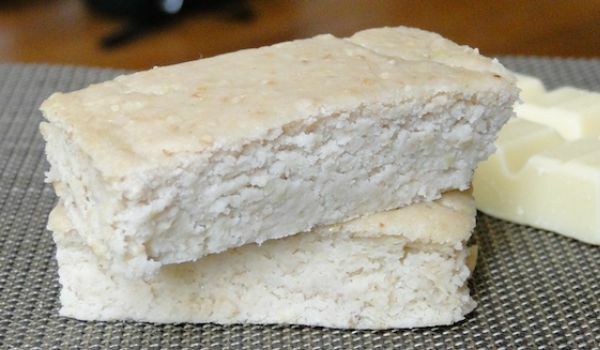 White Brownies are a traditional South African dessert with a wonderful flavor and aroma. Learn how to make/prepare White Brownies by following this easy recipe. 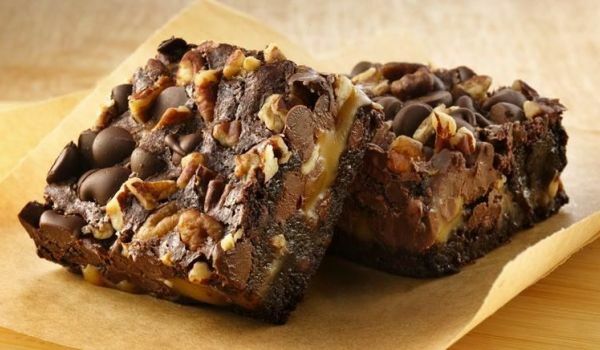 Turtle Brownies are delicious, mouth-watering and luscious undoubtedly. Learn how to make/prepare Turtle Brownies by following this easy recipe. 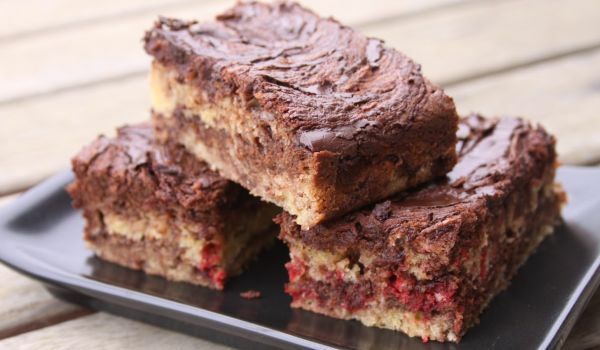 Moosewood Brownies are an easy-to-make, tasty and scrumptious dessert. Learn how to make/prepare Moosewood Brownies by following this easy recipe. Chocolate Peanut Butter Cup Cookies are a perfect dig-in dessert for peanut butter and chocolate lovers. Learn how to make/prepare Chocolate Peanut Butter Cup Cookies by following this easy recipe. 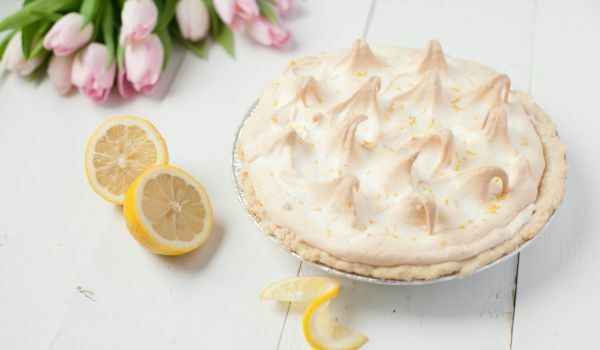 Easter Egg Hunt Pie is an easy to make recipe. Learn how to make/prepare Easter Egg Hunt Pie by following this easy recipe. Toasted Bread with Chocolate makes a great snack for kids. Learn how to make/prepare Toasted Bread with Chocolate by following this easy recipe. 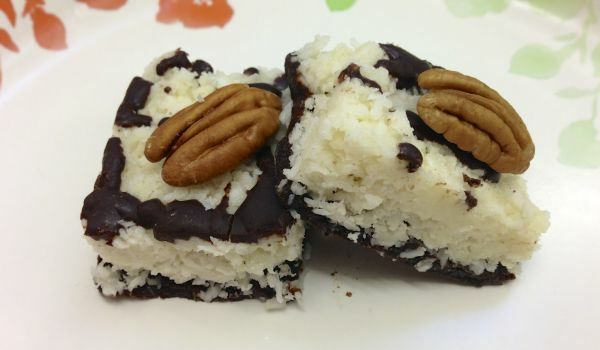 Choco Coconut Bars is a easy dessert that need not be baked. Learn how to make/prepare Choco Coconut Bars by following this easy recipe. Choco Oatmeal is a healthy breakfast recipe. Learn how to make/prepare Choco Oatmeal by following this easy recipe. Chocolate Bites is a very popular recipe. Learn how to make/prepare Chocolate Bites by following this simple & easy recipe. Daim Torte is a very famous recipe. Learn how to make/prepare Daim Torte by following this simple & easy recipe. 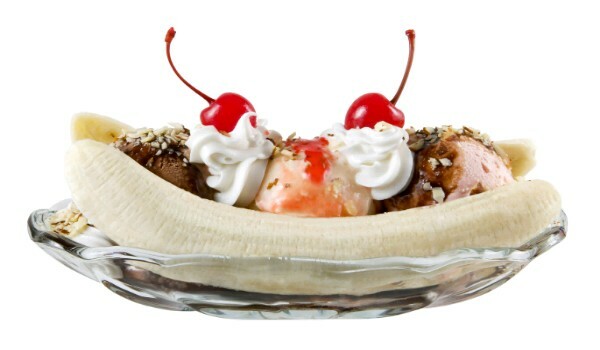 Banana Split is a very popular recipe. 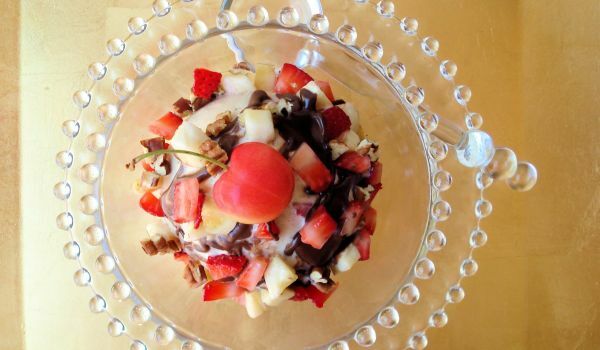 Learn how to make/prepare Banana Split by following this easy recipe. Chocolate Babka is yummy and delicious Polish bread. Learn how to make/prepare Chocolate Babka by following this easy recipe. Lamingtons is a very popular Australian recipe. Learn how to make/prepare Lamingtons by following this simple & easy recipe. 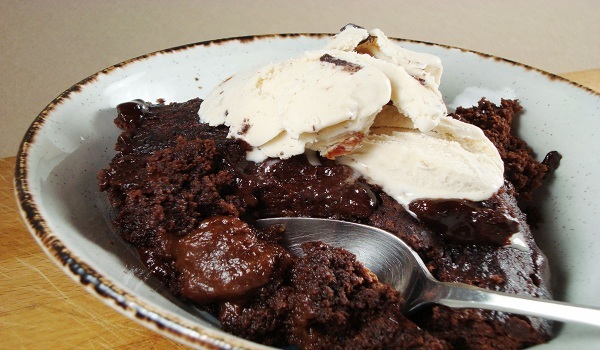 Fudge Pudding is a very popular recipe. Learn how to make/prepare Fudge Pudding by following this easy recipe. 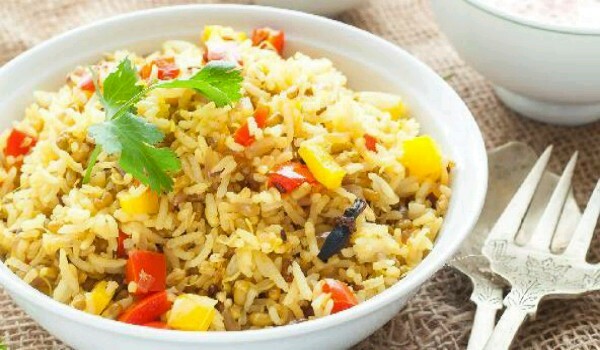 Spicy Sprouts Pulao is a very spicy and delicious recipe. Learn how to make/prepare Spicy Sprouts Pulao by following this easy recipe. Passover Chocolate Mandelbrot is a popular passover Jewish recipe. Learn how to make/prepare Passover Chocolate Mandelbrot by following this easy recipe. Pamper yourself with a chocolate treat sprinkled with walnuts - Fudge Brownies. Learn how to make/prepare Fudge Brownies by following this easy recipe. Rum Truffles is a an easy fudge recipe that children love. Learn how to make/prepare Rum Truffles by following this easy recipe. Pineapple Brownies are a very popular. Learn how to make/prepare Pineapple Brownies by following this easy recipe.